It opens Friday with a three-day party featuring Sunny's Pizza's new pizzamobile, cheap wine and baked treats from The Lost Loaf. 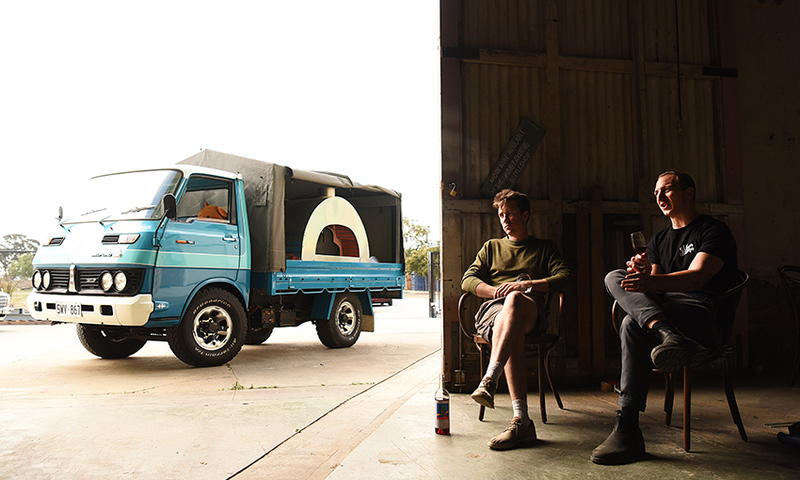 “The outside chairs arrive on Friday,” says Steve Crawford owner of South Australian wine label Frederick Stevenson. 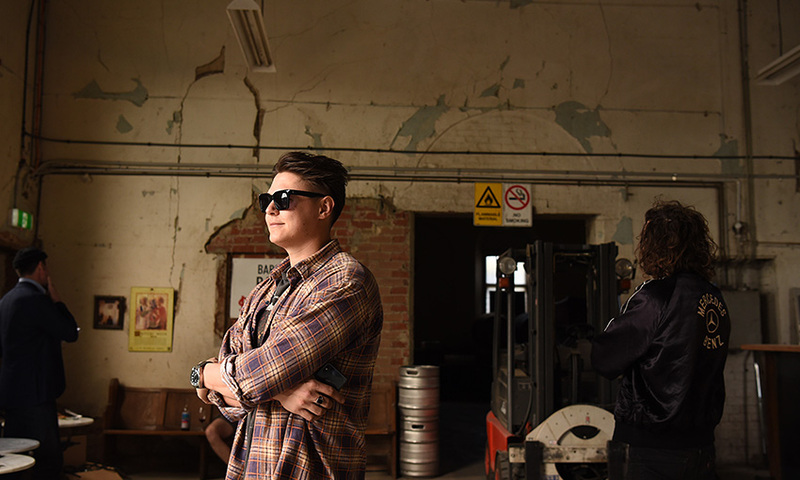 He and fellow winemaker Greg Grigoriou from Delinquente are launching their very own winery and cellar door – Oddio – in Bowden this Friday and the site is still very much under construction. Steve clasps the back of his neck with his palm. His eyebrows are raised optimistically but his broad grin makes his eyes squint in a way that makes us believe he’s cautiously optimistic. Greg has just arrived back on site after a trip to Bunnings and is not sure where the interview with CityMag is at. Will the space be ready by the weekend, we ask. “What’s happening on the weekend?” Steve quips. The winemakers both laugh. 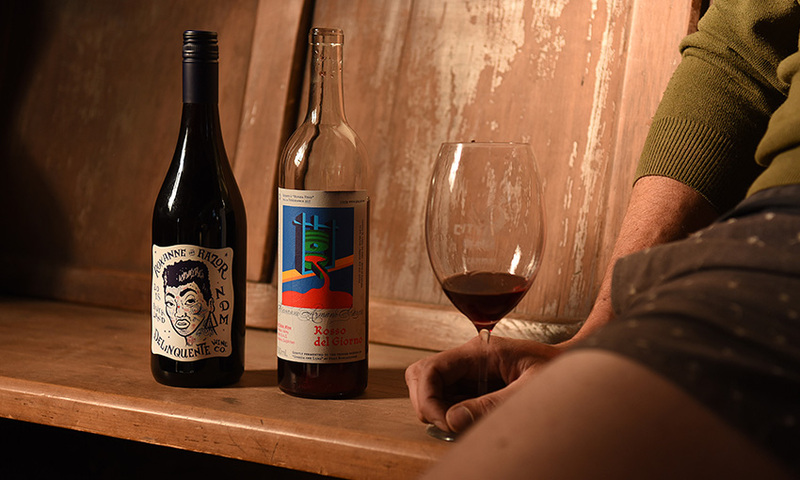 Delinquente Wine Co is Greg’s label, Steve makes Frederick Stevenson and Giovanni Armani Giorgio. 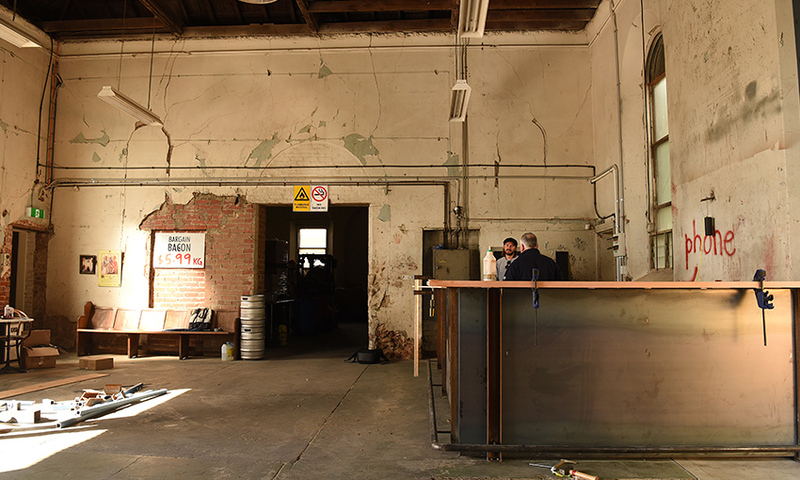 On the weekend the pair are opening up their co-winemaking facility and cellar door in a building that has been dormant for decades. 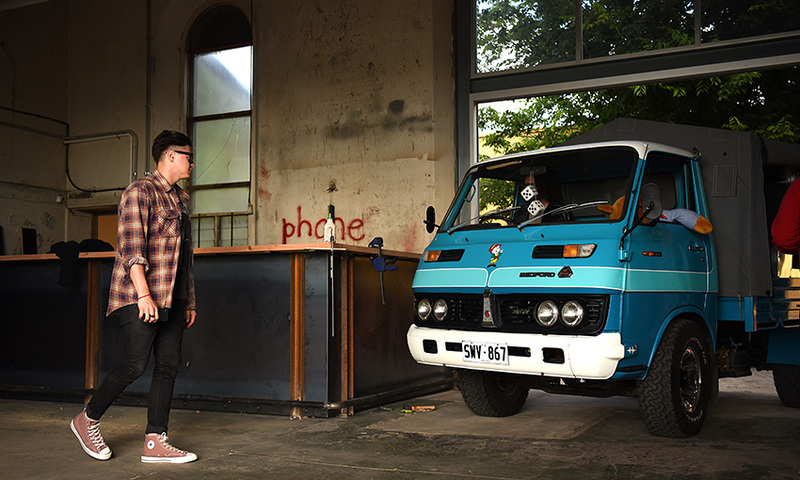 And – along with wines at, “a friendly price level” says Steve – the pair’s friends at Sunny’s Pizza will launch their brand new pizzamobile to cater the three-day event. 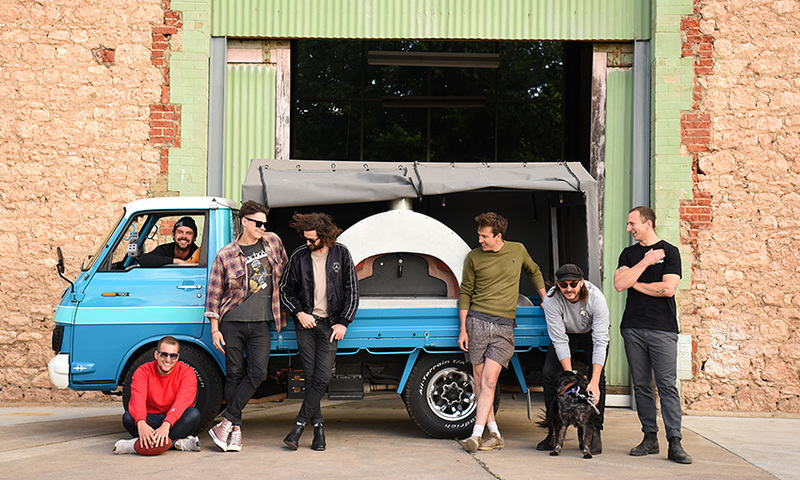 “It feels like everyone in Adelaide knows this location,” says Ash Wilson who has arrived with fellow Sunny’s Pizza founders Rob Denisoff and Josh Dolman to inspect the site ahead of debuting their wood-oven pizza truck on Friday. “Everyone’s looked at it – we’ve looked at it – but no one has taken it until now,” says Ash. “There were squatters in here before we moved in,” says Steve. 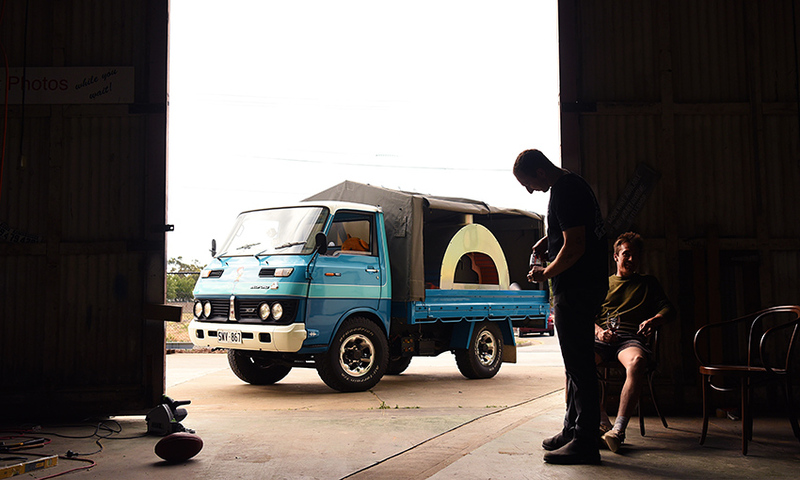 “It’s true that a lot of people were familiar with this space and actively looking at leasing it but no one had actually seen inside it until we opened up the doors,” Steve tells us. Steve and Greg won over the landlords with their no-fuss approach to repurposing the space. 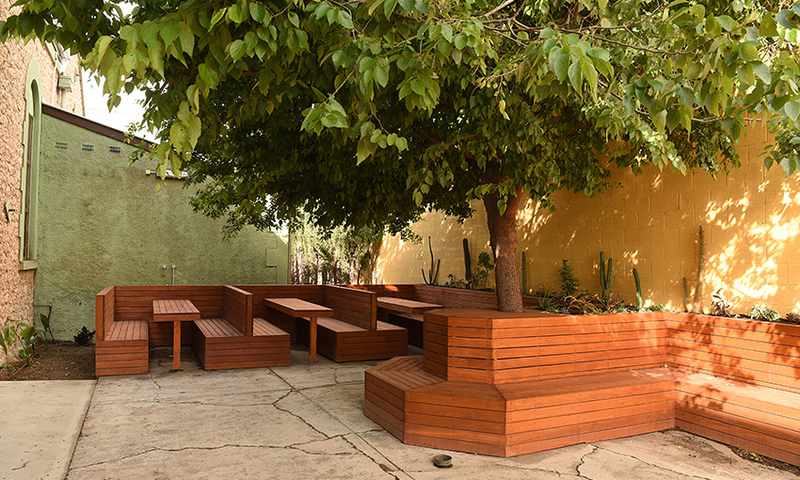 While other potential lessors wanted to radically update the amenities and transform the heritage space into a cool-venue-for-hire, the winemakers were keen to keep it as close to original spec. as possible. And the result is marvellous. Over a century of time is held here. The shingles in the roof are still the original Douglas Fir. 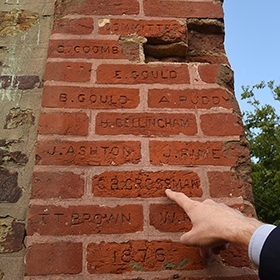 The bricks on the southwest corner are embossed with the names of the Methodist reverends and workers who helped construct this building in 1876. 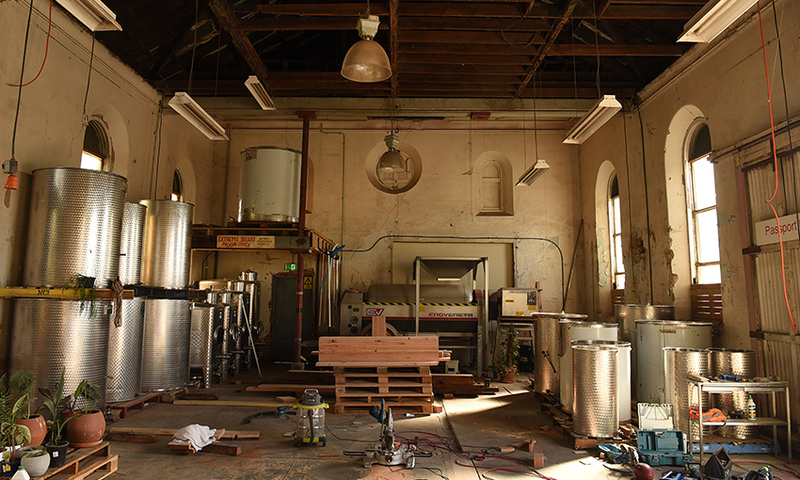 Steve and Greg have really just moved in and occupied the space, with barriques and puncheon casks at one end, an Enovenetta juicer and de-stemmer at the other and a whole lot of stainless steel in-between. In a proud manufacturing neighbourhood such as Bowden, it’s nice to see a building being used to make things. 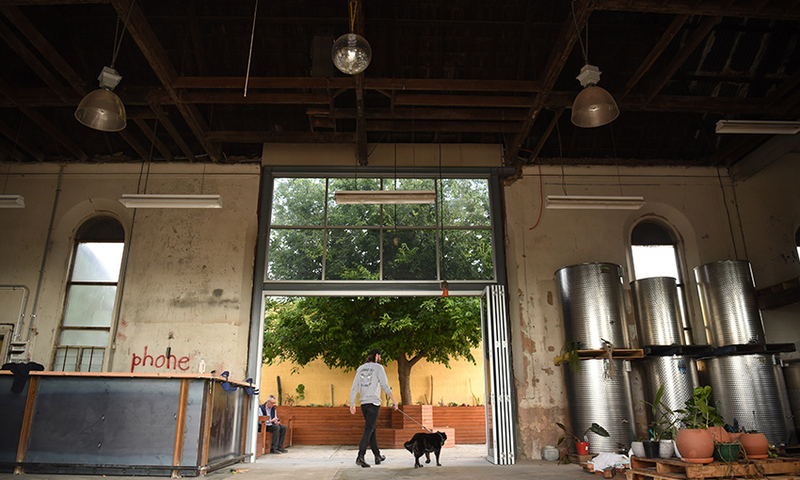 Of course there are plans to run events here – some parties and dinners in the barrel room – but both Steve and Greg hope Adelaide will grow and evolve with the space as they continue to build it. 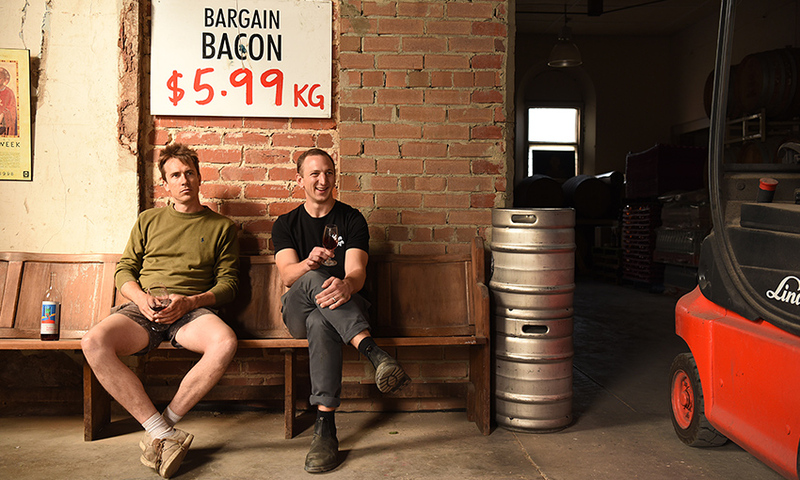 And while the venue hasn’t received its official liquor licence, the pair have secured a limited licence for this weekend, allowing them to serve beer and wine of all kinds as well as pizza and baked goods a-plenty. Oddio is the Italian way of saying oh Jesus, or, my God without being blasphemous explains Steve. The name is a wink at the Methodist church who are famous for their abstinence from alcohol. The name is also a nice nod to the winemaker’s penchant for working with Italian varietals. 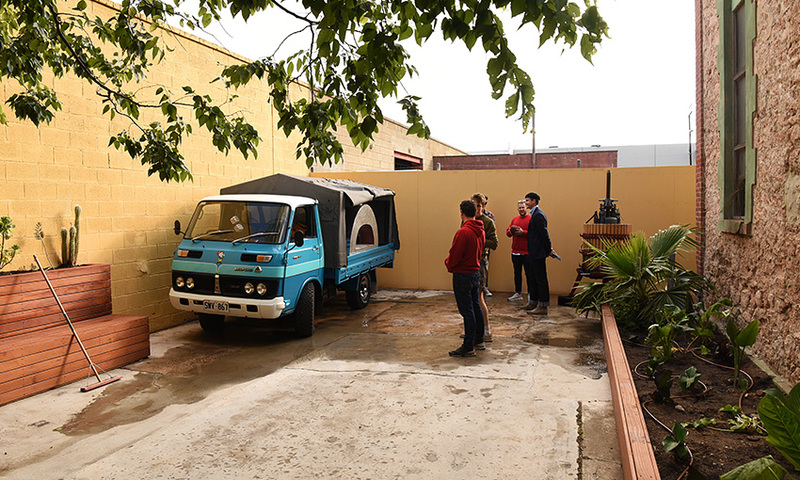 No matter how you read it, this latest development in Adelaide’s booming food and beverage industry is a stand out moment for us all to recognise and raise a glass to. Here’s to two ambitious and creative minds who’ve chosen to collaborate instead of compete, to grow instead of protect and put everything they’ve got into building a better way to do business – together. Salute!